Merici celebrates International Women's Day .... strength as women! Today we are celebrating International Women's Day. International Women's Day is a global day celebrating the social, economic, cultural and political achievements of women. The day also marks a call to action for moving towards gender parity (International Women’s Day website). All staff and students received a white lapel ribbon today - wear this with pride! The white ribbon represents our symbol for the year, the white lily/fleur de lis and celebrates our strength as women. Read more about Merici celebrates International Women's Day .... strength as women! 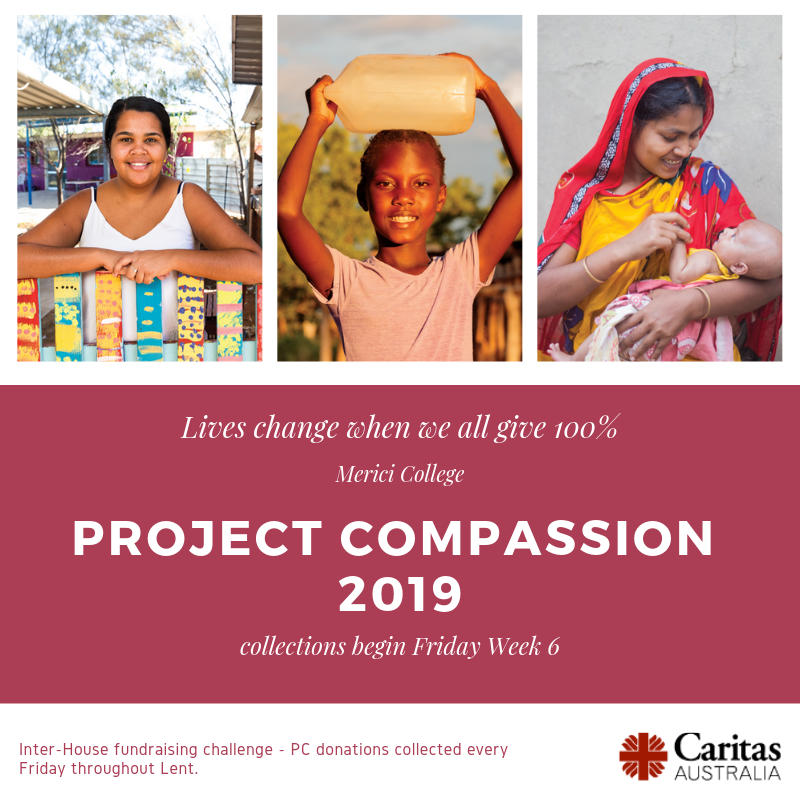 Merici College is once again supporting Caritas Australia's Project Compassion Lenten fundraising and awareness-raising appeal. Starting on Ash Wednesday, students have been asked to donate their spare change to their Pastoral class Project Compassion collection box. Each Friday afternoon for four weeks, and the final Thursday of Term 1, House tallies are being recorded. College Cup points will be awarded after the final collection on Thursday 11 April. The overall aim is for Merici College to support Caritas Australia's initiatives (see posters attached). Solar Panels Installed at Merici!! This is a very exciting announcement and the culmination of a committed effort by numerous people over a long time. It is also a big step towards gaining our energy accreditation from ACTsmart Schools later this term. Read more about Merici Green Tip #4 - Solar Panels Installed at Merici! It has now been 3 weeks since arriving back from Italy, and there hasn't been a day that has gone past where I have not mentioned aspects of my incredible experience. I had just completed my year 12 exams, and the next thing I knew, I was on a plane to Perth, not knowing what the future had installed for me, but I was simply excited by the idea of immersing myself in a culture which I love so deeply. Merici College Fashion and Textile students did extremely well again this year at the Canberra Show. We are very proud of all the efforts the girls have made. We would like to mention that several students entered items independently and also received awards. Students include Annabella McNamara Y7 received 1st for her quilt and Maria Georgiadis received 6 awards for a dress and a variety of baked goods. A huge thank you to Susan Anderson who gets all the entries in and does the drop off and pick up. Sustainable behaviours include reducing or eliminating chemical use for personal health and to protect the planet that supports us. A Merici family has brought to my attention a book which will help you to reduce your use of chemicals. 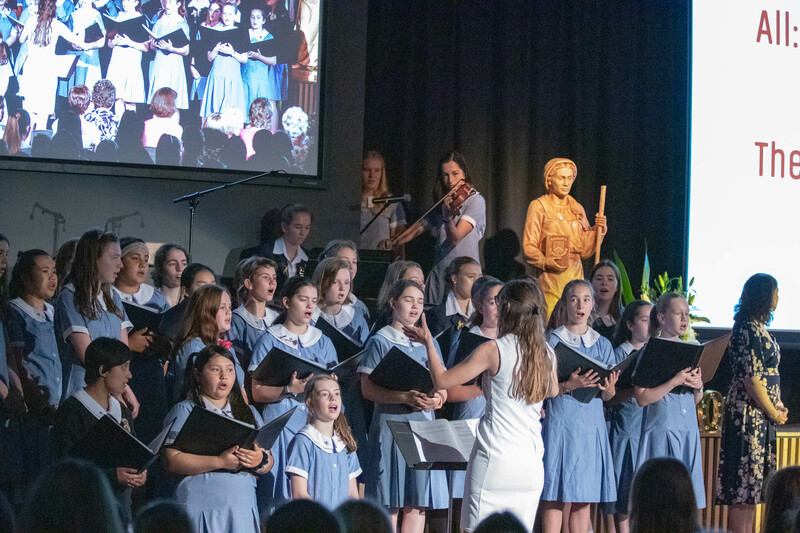 The Merici College school community welcomed parents, friends and representatives from our Colleges, Primary schools and Catholic Education at their Opening School Mass on Tuesday 26 February. The Mass was celebrated by principal celebrant Fr Josh Scott with Fr Emil Milat, Rev Simon Falk and Fr Loi Viovicente who assisted him. The Merici community embraced their 2019 College theme, Fidelitas as they celebrated their mission and vision of building a loving community that is strong in faith. We would like to thank our Year 7 and 8 families for attending our workshop and participating in the activities on Monday 25 February. The workshop provided information to parents and students about how the IB trial MYP has changed our approach to assessment at Merici. The session provided an overview of the MYP philosophy, focusing on concept-based learning and how we are applying the MYP framework at our college, including an explanation of the new rubrics and how assessment tasks will be structured. 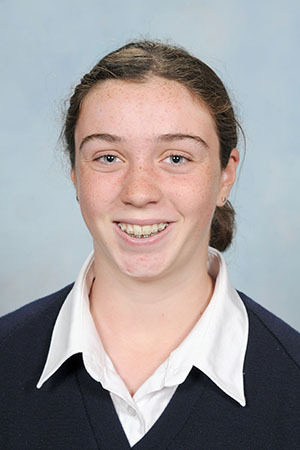 We congratulate Raechel McKinnon (Year 8) on her selection into the 2019 U14 Girls’ Australian Diamonds Squad. As part of the development program, Raechel will be participating in a tour to Auckland, New Zealand from 15-23 April 2019. This tour has been specifically designed to expose players to international softball, with games scheduled against local New Zealand teams in an Auckland-based tournament, together with training days. Wishing you lots of success Raechel!